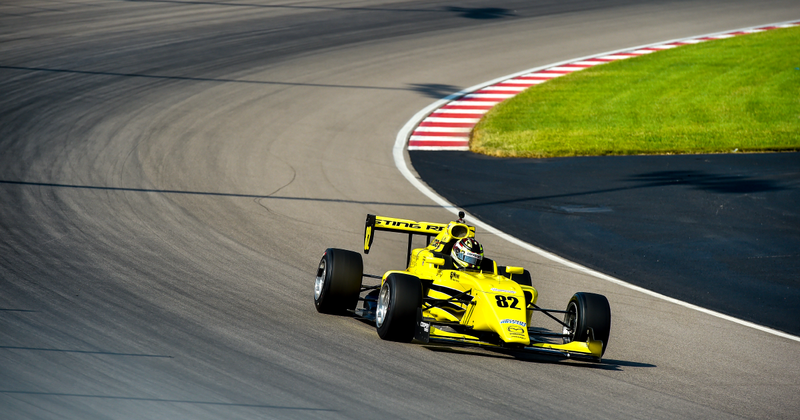 MADISON, Ill. – Jonny Baker, Team Pelfrey General Manager: "It was a solid weekend for Team Pelfrey where our attention was focused on runningSting Ra y (Robb) in the Pro Mazda Championship Presented by Cooper Tires. We were on the back foot a little coming into the event as we weren't able to test prior to returning to an oval, and the poor weather on Friday also didn't help. However, once we got going Sting Ray improved every time he went out on track which was the main objective.Now, we turn our attention to the season finale in Portland next weekend. We will have all three of the USF2000 cars back on track after a month off. It's a home race for Kyle Dupell, as well as being a close to home race for Sting Ray so we will have plenty of reasons to finish off the season in style on the west coast."